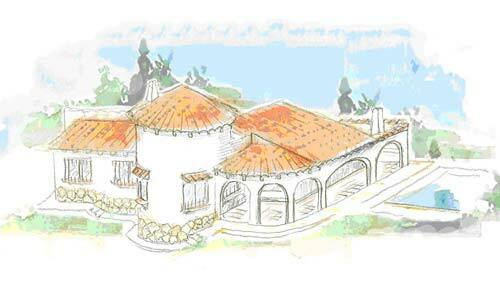 For more details about a particular villa design then simply click on the relevevant villa name. 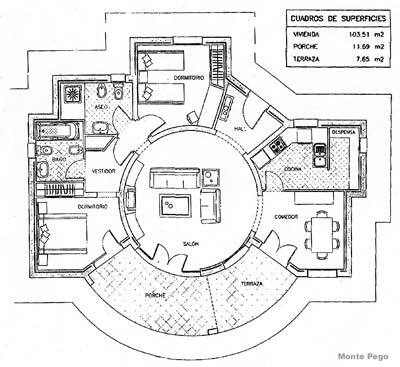 To see a larger version of a plan then just click the mouse on the one you want to see. 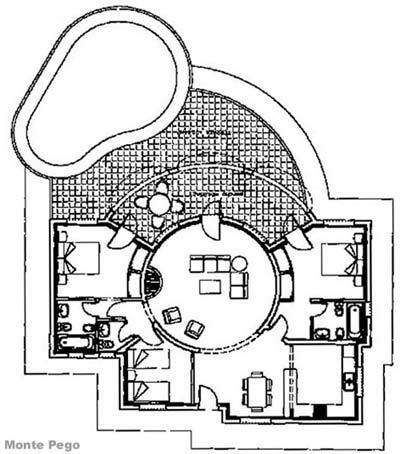 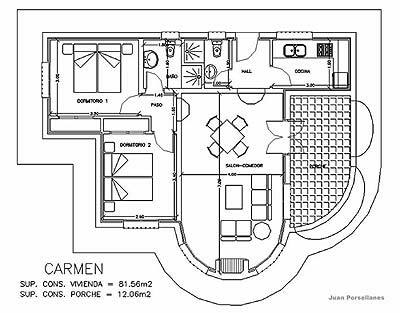 113.62 sq m, 2 beds, 2 showers, living room, kitchen, 12.06 sq m porch, terrace and 8x4m pool. 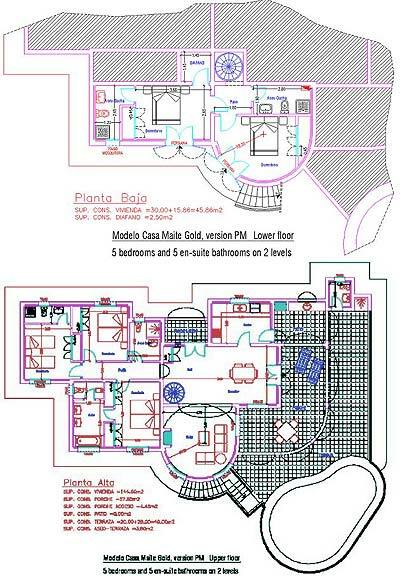 131.70 sq m, 3 beds, 2 bathrooms, living room, dining room, kitchen, 11.70 sq m terrace and 8x4m pool. 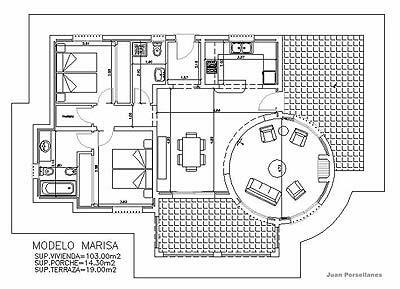 135.20 sq m, 2 beds, 2 bathrooms, living room, kitchen, dining room, 11.69 sq m porch, 20 sq m terrace and 8x4m pool. 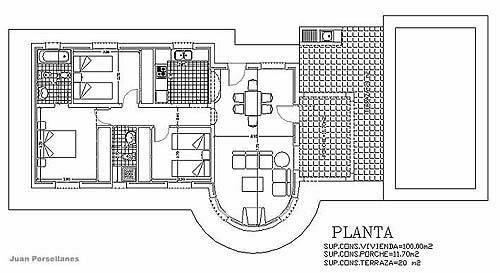 137.30sq m, 2 beds, 2 bathrooms, living room, kitchen, dining room, 14.30 sq m porch, 20 sq m terrace and 8x4m pool. 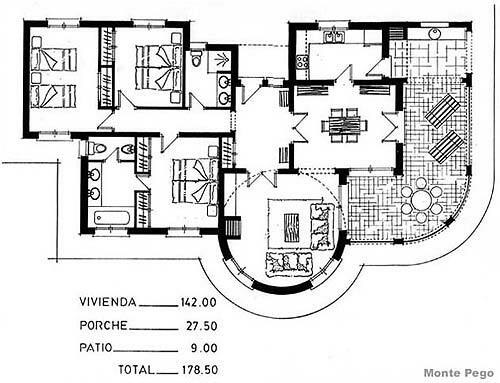 179.14 sq m, 3 beds, 2 bathrooms, living room, kitchen, dining room, 24.85 sq m porch, 32 sq m terrace, 8x4m pool. 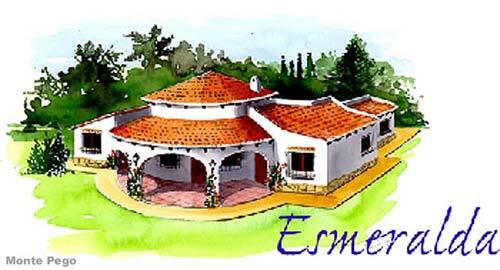 198.50 sq m, 3 beds, 2 bathrooms, living room, kitchen, dining room, 20 sq m terrace, porch, pool. 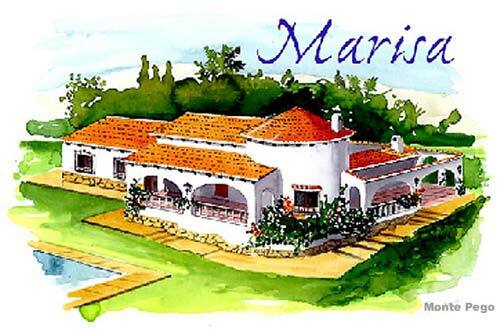 Custom built 277.74 sq m villa with 5 beds all with en-suite bathrooms, 10x5m pool with pool lights & Roman steps; terrace; patio & outside kitchen/BBQ, toilet & shower. 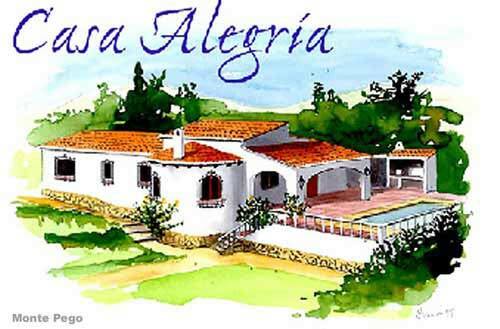 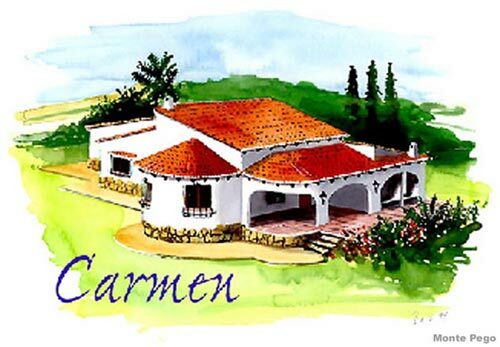 The above prices have a plot allocation of 140,000 Euros included in the package; the exceptions being the Modified Esmeralda which has a higher quality or larger 160,000 Euro plot included in the price and the Casa Maite and Casa Maite Gold which have a superior 180,000 Euro plot included in the price.